Once again we are pleased to announce scholarship opportunities for Ojai Valley residents. The David Mason Scholarship Fund was established in 2012 by the OVLF to provide financial aid to qualified Ojai Valley residents who are (or will be) actively engaged in an established educational program that focuses on agricultural practices relevant to the Ojai Valley and/or the beneficial uses of lavender. This year, the amount of the David Mason scholarship award will be $2,500.00. 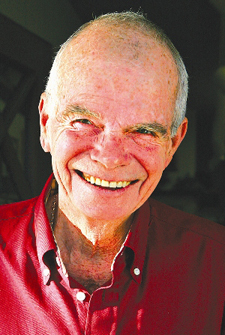 This continuing scholarship fund honors David Mason, lifelong Ojai resident, florist and local historian, and his steadfast commitment to the valley. ON JULY 22ND, 2017, THE OJAI VALLEY LOST A DEAR AND TREASURED MAN. DAVID DEPARTED OUR VALLEY FOR A BETTER PLACE. THE DEPTH OF HIS KNOWLEDGE OF THE HISTORY OF OUR VALLEY AND ITS PEOPLE AND HIS GENEROUS SHARING OF THAT KNOWLEDGE HAS LEFT A VAST EMPTY PLACE IN OUR LIVES AND OUR HEARTS. RIP, DAVID. Click here for the 2019 SCHOLARSHIP APPLICATION FORM.